KUALA LUMPUR, July 2: In a Chinese cemetery just outside Yong Peng, Johor, is an empty tomb. Retired contractor Tan Sue Yong had bought the burial plot and built the tomb some 20 years ago, in the cemetery somewhere along the road to Paloh. Preparing for the inevitable is a common practice among older Chinese folk, especially those who came here from China to seek a better life, and Tan would stop by the tomb once in a while to clean it up. Five years ago, the elderly 83-year-old went for a walk and did not come home. His family first searched along his usual route, then around the town, and eventually nationwide. Neighbours, MCA branch members, the police, Rela volunteers, many people tried to help. His family put advertisements in the newspapers, but he could not be found. Tan is still missing today. He would be 88 this year. His family is still grappling with the consequences of not knowing where he is, or what happened to him, and whether he is still alive. "It’s a terrible feeling, not knowing. There’s no closure," said his younger son, Roger. Frustration and uncertainty have left lasting marks on the family. Roger’s 81-year-old mother, Swee Mei, has recurring dreams about him. So does Roger and his other children, and grandchildren. When they see him in their dreams, they beg him over and over again: "Tell us where you are." And always, they wake up just as it seems he is about to speak. A month ago, Roger’s niece had the same dream. And earlier this week, Roger’s nine-year-old daughter told him she dreamed of Ah Kung again. "I told her I dreamed of him, too," said Roger, a faraway look in his eyes. Tan Sue YongTan first came here to work in 1937. 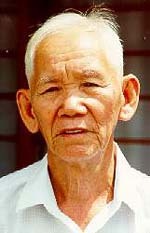 He returned home to Fuzhou province four years later, and finally in 1947, he left China for good and settled in Selangor with his wife. Life was hard for the family, which remained poor for many years. Slowly, he saved enough money to buy some land to plant rubber, and another piece to build a house for his wife and six children. Roger, 43, is his second youngest child. He has another older son and four daughters. Even after Tan retired as a land-clearing contractor, he remained fiercely independent, walking some 10km every day to check on his small estate on the Yong Peng-Paloh road. That was where he wanted to go two days before he went missing. Roger, who had popped home to visit his parents, persuaded him to be driven there. Returning home, however, his father insisted on walking. "So I had to follow behind him in the car until we reached home," he said. That was the last time Roger saw his father. Speaking of his father makes Roger visibly emotional. His voice thickens and his eyes glisten with tears as he tells how his father remained fiercely independent even as he aged. Roger, a lawyer, said his family is trying to be realistic, and to move on. "He was suffering from dementia and his age is advanced. No one is looking after him. It’s difficult to see how an old man like that could survive." Roger said his mother appears to have accepted that her husband may have died. He himself thinks it unlikely that his father is still alive. But his heart finds it hard to accept what his mind has reasoned out. "Something inside tells you: Don’t give up even that little hope that you harbour," he said. Last month, his mother and his siblings decided to consult a feng sui master for advice on what next to do. The man conducted a few rites, and then told them they would dream of him over the next few nights. Then they would know either where he is, or that he was no longer alive. In the end, it was Roger who dreamt about his father speaking. Roger is the only Christian in the family, and does not subscribe to traditional beliefs. But he is the one his father loved the most, and the most determined to keep looking. "In the dream, he said he is in Kuala Terengganu." Now, the family is struggling with another dilemma. Where do they start? Who do they call? If he was not coming home, the feng sui master said, the family should put a few of his things and his clothes into the tomb, and conduct the last rites. That this is all they can do for the man who did so much for them, eats away at Roger, who has paid a moving tribute to his father on the website www.missingourdad.com. "After all he has done with his life, for us, to have an ending like this. This is the most agonising part."